I guess you could but you wont have return to home if you lost signal. More manual flying and altitude mode. No, do not remove the gps but move. Thats why they have the riser post, to get it far as possible away from all your other electronics. Would be good if there was a reliable fix. Best place for it should be at the back, away from the camera gear. Very good idea, I will look to change the frame to have the GPS at the back. That looks cool, I hope it doesn't get any interference from the battery but its worth a try. I have not tested this yet, but i have my GPS puck mounted on top of the nose lid, and the bottom of the nose lid is covered in two layers of copper tape. In the second pic you can see the edge of the copper layer that covers the whole bottom of the forward lid area. The goal is that the copper barrier will reduce the EM interference from the various electronics to the GPS antenna. I realize i dont know how to post a pic on this forum. I hope an imgur link is ok.
Me too! However, it might be a while. 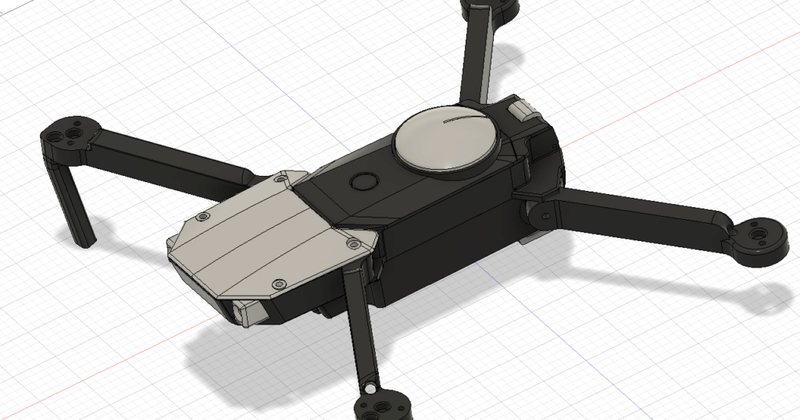 Other things in life are getting in the way, and the DIY drone project is kinda at the bottom of the priority list. So my progress on this is super slow. Well with not being to happy with the prop adaptors not fitting the folding props, I ordered some fixed props. After watching a video on flight time with fixed, folding pair and folding triple props, the flight time was 13,10 and 8. So I found 2 different set that fit from hobbyking. One with 8mm shaft with the square sides, fit perfect. The other are self tightning props that were a little tight and just needed a 8mm drill bit to ream out a fraction. Edit: just did a quick test and the props were very smooth and a lot quieter, very happy. Played around with gains to get it alot more steady. Now to get out side tomorrow and do some return to home tests. Just a short video on interference, This has copper tape under the gps and when close to a gopro in recording mode it loses gps signals. Note: when not recording it was ok.
Did a little work on changing the gps to the back so hopefully I can put the camera back on. Also added a short video flying.